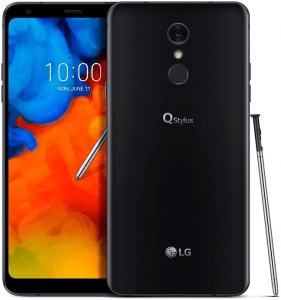 The LG Q Stylus comes with a large 6.2-inch 18:9 FHD+ (1080p) display, an unsurprising pro, coming from a stylus-equipped smartphone, while it blusters with a 2TB microSD card slot (It has either 64GB or 32GB of inbuilt memory), which only a handful of other phablets offered when it came out. It also underscores its productivity-driven profile with a stylus pen, mainly for jotting down quick notes or tinkering with photos. Pros and Cons Review The LG Q Stylus comes with an unimpressive 8-megapixel camera and clocks in at only 1.8GHz, but its stylus pen and large 6.2-inch 18:9 display make it a respectable phablet contender notwithstanding. We weave through its specs in this pros-and-cons analysis. (more) New LG phones View all the new LG phones. * Specifications cannot be guaranteed accurate. Do a confirmation of the key specs before making a final choice. Cell phone makers do not always detail all their phone's functions, making it difficult for us to guess whether or not a specific cell phone has a specific function. If you spot an inaccuracy in this description, please let us know as soon as possible.